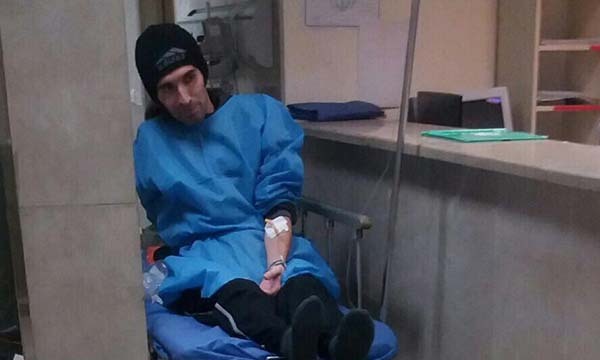 Sadeghi was returned to prison against doctors' orders after a brief hospitalization. 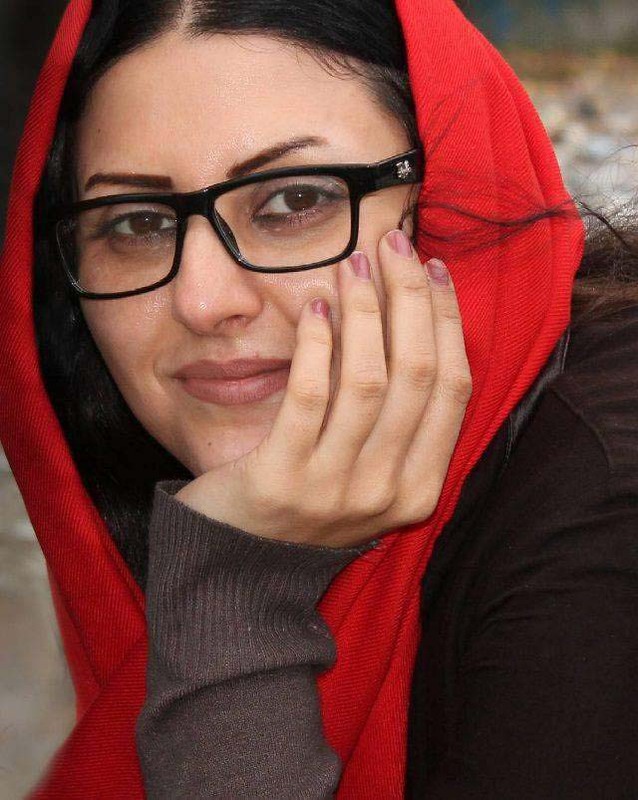 Political prisoner Golrokh Ebrahimi Iraee, who was released on January 3, 2017 after her imprisoned husband Arash Sadeghi's 71-day hunger strike resulted in a promised case review for his wife, is refusing to obey an order to return to Evin Prison. "By law, my prison term should be rescinded because the Supreme Court has agreed to review my wrongful sentence," said Iraee in an interview with the Campaign for Human Rights in Iran on January 7, 2017. "I was worried about Arash's critical condition, so I accepted the furlough (temporary leave) offer because they said it would be extended until the result of the case review, but now they are going back on their promise." "Today I went to deliver a property deed for my bail and was told by Mr. Haj Moradi, the prosecutor's new representative, that my furlough has ended and I must report to prison immediately," added Iraee. "He said he was aware of the promise that was made, but that this was the prosecutor's new order." According to Article 478 of Iran's Criminal Procedure Regulations, "When the Supreme Court agrees to review a sentence, the sentence will be suspended until a new ruling is issued." The Campaign has learned that as of January 9, Iraee has not returned to prison. The former accountant began serving a six-year prison sentence on October 24, 2016 for "insulting the sacred" and "propaganda against the state" primarily for writing a fictional story she never published that was confiscated during a raid (initially targeting Sadeghi) of her home by the Revolutionary Guards. Hand-written in a notebook, the story is about an enraged woman who burns the Quran after watching a film about stoning in Iran. Sadeghi started his hunger strike the day Iraee entered Evin Prison and only ended it more than two months later after Branch 33 of the Supreme Court agreed to review his wife's case. Sadeghi's life-endangering call for justice for his wife received widespread attention on social media with the hashtag #FreeArash and was covered by international news media outlets. Fearing a public relations disaster, judicial authorities agreed to release Iraee on furlough and allowed her to visit Sadeghi hoping that she would convince him to end his hunger strike. Iraee informed the Campaign that her husband was hospitalized to receive medical treatment for intestinal blockage and bleeding, among other health problems resulting from prolonged starvation, but was returned to prison after only a few days on January 7 despite doctors' recommendations to keep him hospitalized. "I call on Iranian authorities to ensure that Mr. Arash Sadeghi has access, as a matter of utmost priority, to specialized health care in a hospital outside prison, in compliance with international human rights standards and medical ethics in particular the principles of informed consent," said the UN's special rapporteur on the human rights situation in Iran, Asma Jahangir, on January 9, 2017, while urging the government to release all political prisoners. Sadeghi began serving a 15-year prison sentence in June 2016 after being convicted of "assembly and collusion against national security," "propaganda against the state," "spreading lies in cyberspace," and "insulting the founder of the Islamic Republic" for his peaceful defense of civil rights in Iran. He was also issued a suspended four-year prison sentence in 2010 for "assembly and collusion against national security" and "propaganda against the state." If Article 134 of Iran's Islamic Penal Code-which limits a convicts' prison term to the longest sentence of the most serious charge in cases involving multiple charges-is applied to Sadeghi's case, his sentence could be reduced to seven and a half years. There are at least four political prisoners currently on hunger strike in Iran, including children's rights activist Saeed Shirzad, who has sewn his lips shut.